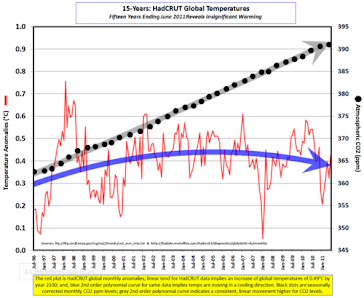 Climate Common Sense: Chariots of Fire - Ancient Global Warming! The ancient Romans apparently lived in a warmer environment than the present day according to a National Academy of Science study reported in the Washington Times. It was probably caused by increasing numbers of higher horsepower chariots on the road and by increased CO2 from Nero's penchant for large outdoor barbeques. The problem of spent chariot fuel on the highways must also have taxed the Emperor and his environmental advisors! The alarmists must imagine that 50 years before the birth of Christ, men like Julius Caesar spent their summers strolling the streets of Rome wearing sweaters to guard against catching a chill - instead of abandoning the sweltering capital in favor of temperate seaside villas. A study published in the March 8 edition of the Proceedings of the National Academy of Science casts further doubt on the warmist premise by concluding that the sun beat down more harshly on the Caesars than it did on anyone else in the past 2,000 years. Instead of using tree rings as a proxy for air temperature, the study's authors extracted data from sea shells preserved in deep sedimentary layers, using them as a proxy for sea temperature in the North Atlantic over the course of two millennia. According to the study, the "reconstructed water temperatures for the Roman Warm Period in Iceland are higher than any temperatures recorded in modern times." The heat lasted from approximately 230 B.C. to 140 A.D. After that, temperatures rose and fell over time with a second peak taking place during the better-known Medieval Warm Period. The researchers confirmed their temperature estimates against records of human settlement patterns and descriptions found in Norse sagas and other historical writings. People settled in the region when it was warm; cold spells coincided with descriptions of famine. These facts will not sit well with the climate-change theocracy. In order to sell the notion that global warming is a consequence of industrialized society, the fundamental article of the warmist faith must be that modern times are the hottest on record. Much like the ancient Romans, today's environmentalists believe extreme weather conditions are not a phenomenon with natural causes, but rather a portent of Mother Earth's displeasure with the choices made by the people. Whereas the ancients offered animal sacrifice to appease her wrath, the modern pagan offers carbon credits. If warming periods have been cyclically occurring naturally in recent millennia then the Doomsday theories about unprecedented man-made Global Warming do not hold up. 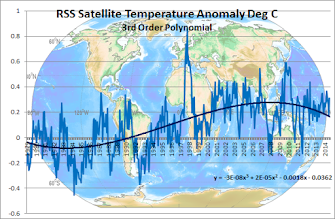 With all the effort made to discredit the Medieval Warm Period it must be galling to the AGW proponents to have another "unprecedented"warm era to disprove their computer - generated fantasies.